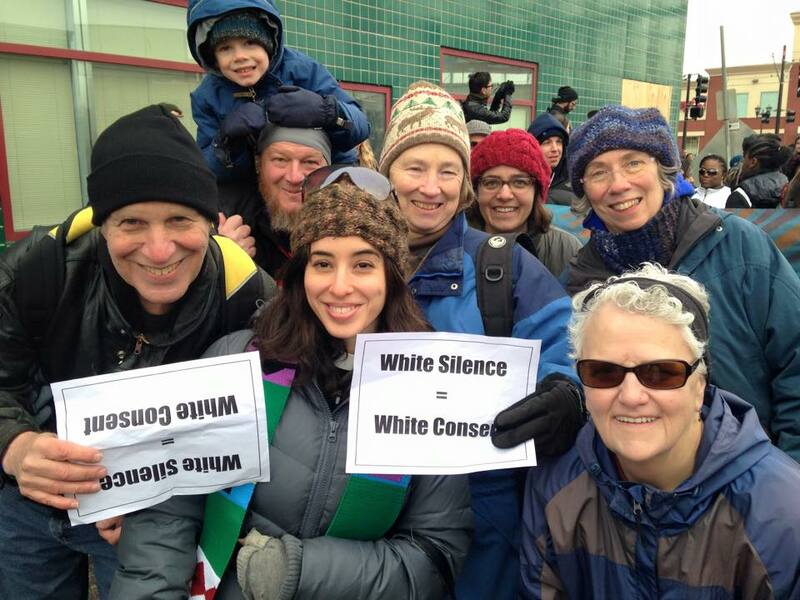 The Center for Sustainable Justice is a new organization, started by Lyndale United Church of Christ in the Spring of 2015. 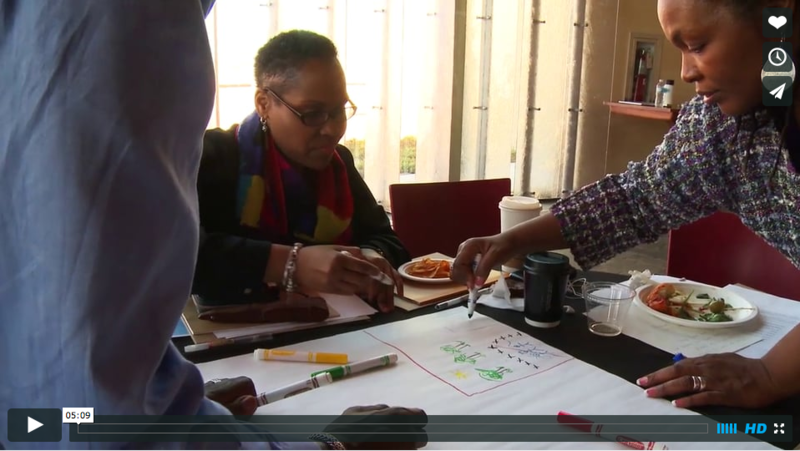 Its primary purpose is to help build the movement of religious leaders and communities working together on racial, pro-LGBT, food and environmental justice in the Twin Cities and across the Midwest. 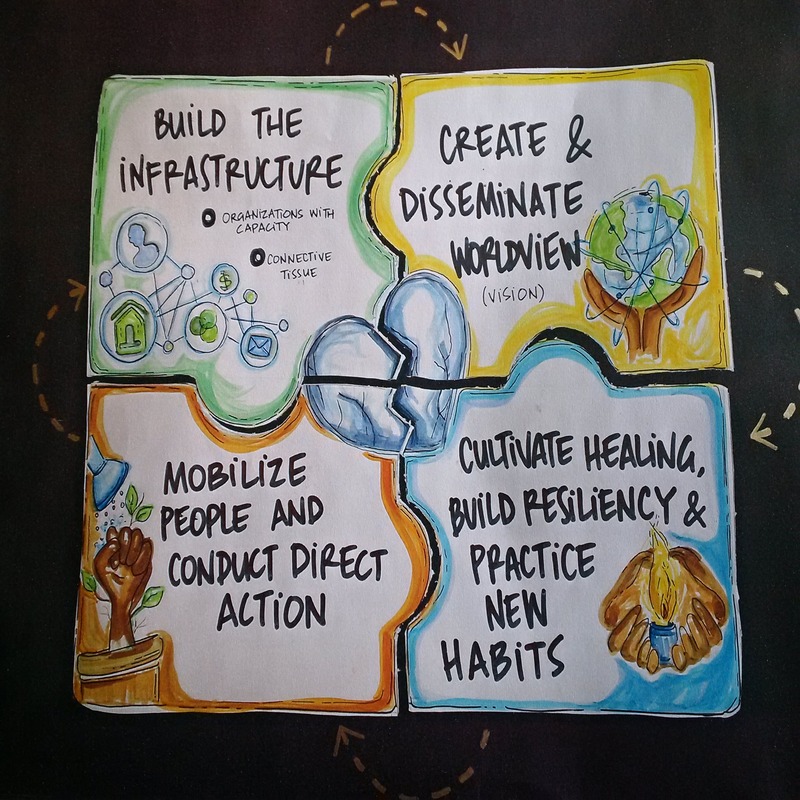 It does so with a special emphasis on work at the intersections, relationship-building over the long-haul, connecting and building coalitions between people and organizations. An example of this multifaith, intersectional justice is our leadership in bringing Table to Action to Minnesota. The Center for Sustainable Justice emerges out of the reality that much religiously-based justice work is “siloed.” Folks tend to either work in ecumenical and multifaith ways around one justice issue or within one movement (ex. Pro-LGBTQ, environmental justice, racial justice) or they work within their own religious community on one or a variety of justice issues. But there are not many spaces where people are invited together around an ecumenical and/or multifaith vision of justice that includes the dreams of many different people and bodies (in other words, that is intersectional). This is true in the Twin Cities, in the Midwest and nationally. As we seek to be spiritually and religiously-rooted people doing the work of justice, it is important to name the realities of what oppression has sought to destroy: our very bodies, the land, our stories. But, too often, we only tell the stories of the death-dealing, the stealing, the destruction and we forget to name and claim the resistance, the healing, the reclamation. 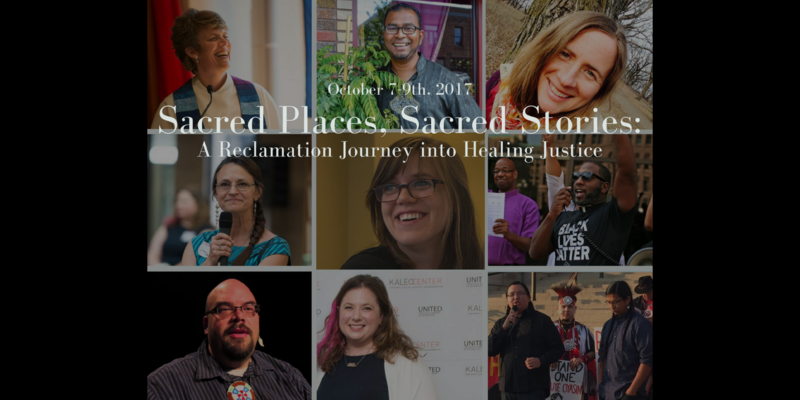 Sacred Places, Sacred Stories: A Reclamation Journey into Healing Justice, our second Annual Movement-Building gathering, was an opportunity to both name the context of colonization– of bodies, land and stories– that White Supremacy has wrought and tell the stories of successful healing, resilience and resistance. As we are working for sacred justice amidst this time of oppression and growing political tyranny, the work of gathering for spiritual sustanence for the task of resistance and justice-making is critical. We partner closely with churches, synagogues, mosques, sanghas and circles which extravagantly welcome the presence and leadership of queer people and their families. Racial Justice, valuing the lives of people of color and working against White Supremacy are at the heart of the Center for Sustainable Justice. That means we are committed to acting against racism and for in building a movement for racial justice that includes all. We seek to partner with Black Lives Matter Minneapolis, Honor the Earth, the Peoples Movement Center, Neighborhoods Organizing for Change, Auburn Seminary and the Kaleo Center, among others. Honoring the earth, the air, the water and the animals as deeply connected to humanity and all as gifts from God are core to the Center for Sustainable Justice’s work. Stopping the destruction of the planet and seeking, instead, to work in concert with creation are concrete pieces of what we do. Experiences are powerful educators. 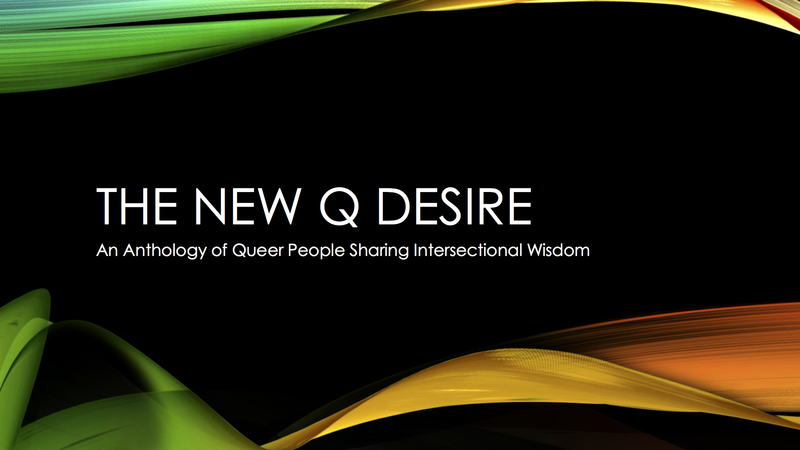 This anthology compiles the experiences, lessons, and visions of queer leaders into the fundamentals of being part of an embodied, intersectional movement.